In our ongoing audio series, Meet the Labbers, we hear people from all roles across the Media Lab talk about what they do and why they do it. 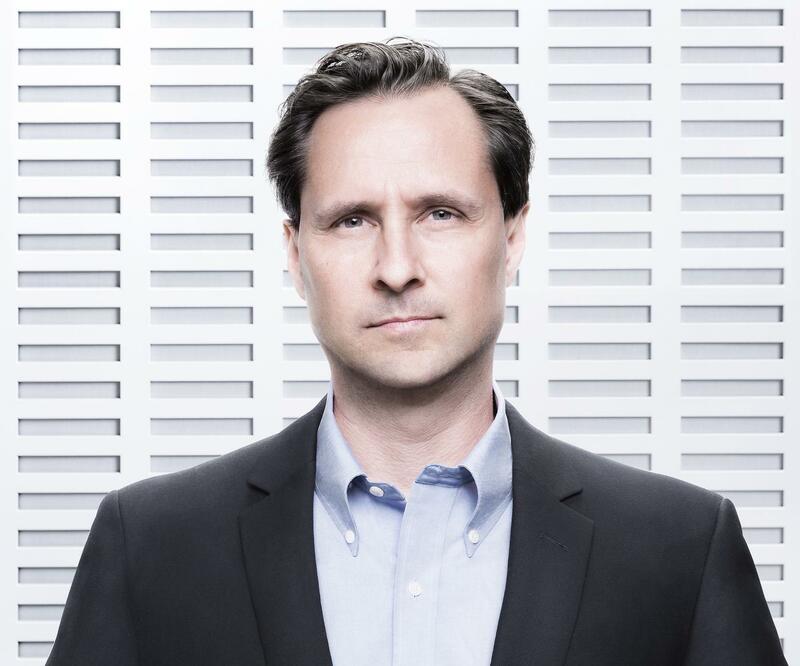 Hugh Herr directs the Media Lab's Biomechatronics research group. "My name is Hugh Herr. I direct the Biomechatronics group at the Media Lab. I also co-direct the Center for Extreme Bionics, architecting the future of the human body. We do a lot of work in wearable robotics—prostheses for persons with amputation—as well as orthoses that are medical devices that apply torques for impaired biological limbs. And then, exoskeletons that are designed to augment human capability, human strength, making us stronger and faster and able to leap tall buildings, if you will. Recently, we’ve pursued how to redesign surgically how limbs are amputated. So, we’re linking muscles in surgery, we’re getting nerves to regenerate, we’re inserting titanium shafts through the skin membrane into bone. We’re doing all these things to really create a merging between the bionic prosthesis and the human body. So, the person can think, they can control motors in the prosthesis as well as receive sensory information from the prosthesis into the nervous system—where a person, when they move their bionic joint, will feel the movement; and when we apply forces and torques on the prosthesis, they will feel those forces and torques. I can not only be a designer but I can be the test pilot. In 1982, I was in a mountain climbing accident and suffered severe frostbite and after months of effort, my medical team had to amputate my legs below the knee. The fact that I use bionics is extremely helpful and effective in our work because I can not only be a designer but I can be the test pilot. Because of that duality between designer and user, I’m able to debug things very, very quickly. It’s a tremendous design advantage, actually, that I can feel things, I can touch things that other people in the lab are not able to feel and touch.